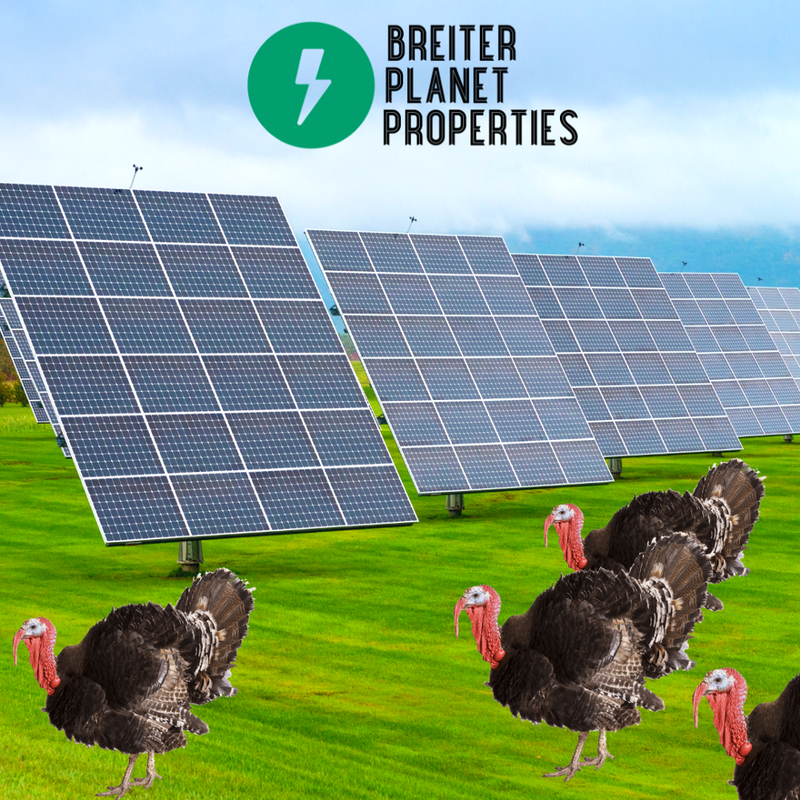 In the light-hearted nature of the Thanksgiving season, we wanted to highlight how livestock and solar can be harvested in unison. We’ve all heard about agrovoltaics coming but let me be the first to coin the name turkoltaics. I’ve got other catchy names such as livestockvoltaics, poultovoltaics, cattleotaics, porkoltaics, and a few more, but you get the gist. My fellow colleagues in the solar industry will probably shut these names down but you have to admit, they are catchy! Farms and open land across the country and globe can be a great location for livestock or wild animals to roam free while producing solar on the same site. Solar can provide shading for livestock and protection from some of the elements. In addition, it can increase the moisture content of the soil beneath them, so that plants can flourish and increase the available food yields for our omnivourish friends. For the solar component of the project, an energy offtaker will be necessary to purchase the electricity from the solar farm. The offtaker can be the local utility company or nearby buildings and facilities that can purchase the electricity. All farms are not qualified but fortunately, Breiter Planet Properties helps property owners across the country and globe qualify their properties and establish the best option for their sites. There are a variety of solar mounting options such as traditional ground mounts, tracking systems, and canopies. Then, there are thousands of solar companies that are actively reaching out to you about going solar. Thus, the need for personal energy consultants like Breiter Planet Properties to guide you through the qualification and implementation process.